The ability to wear contact lenses depends on many important concerns. Adamstown Eye Care has always been in the forefront of modern contact lens care, where we combine a wide selection of products with our advanced fitting techniques. 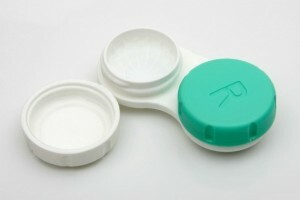 Our doctors and staff are skilled in every method of contact lens wear. We have thousands of happy contact lens patients and we enjoy providing each one of them with the thorough care that they need to enjoy their contacts the most. For the new contact lens wearer, education and hands-on training make a significant difference in patient success. There is no substitute for the direct personal and professional assistance we provide while you are beginning to learn good care and wear habits. Contacts can easily interfere with vision, comfort and eye health when the necessary precautions are not taken. Patients often come to us with contact lens difficulty and we quickly realize that they’re suffering because no one ever took the time to show them how to manage their contacts well, and sometimes no one showed them at all! Preventing problems is the best way to solve them. Experienced contact lens wearers know that successful wear does not occur by accident. Knowledge, careful attention and the precise selection of the right products are the necessary steps leading to fun rather than failure. Our consistent ability to achieve worthwhile results is due to our habit of working together with our patients toward a common goal. Let us develop a complete contact lens care plan for you that’s designed to keep you happy with your contacts for many years to come. Look into our Specialty Contact Lenses page to learn more about the new and improved options waiting here for you!